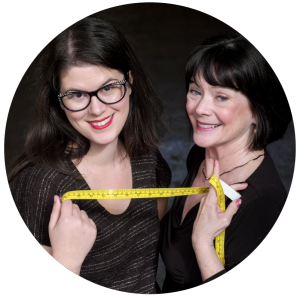 That’s right, the dynamic duo of Mallory and Zede are busting some stitchin’ myths. 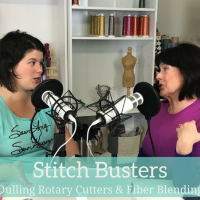 They are starting this stitch busters series off with the exploration into what dulls your rotary cutter (hint-it’s everything!) and can you blend fibers? This episode is brought to you by: LA FINCH FABRICS! LA Finch Fabrics is a high quality apparel fabric resource from the LA Fashion District. They buy small lots from fashion designer’s post production lines. Many of the fabrics on their site are one-of- a kind treasures that you won’t find these in fabric stores, but rather on the runway or at your local clothing department store. They carry only first quality apparel fabric and promise to make your shopping experience a positive one with fast shipping and reliable service! 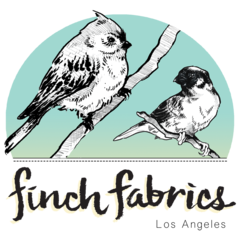 LA Finch offers free shipping on orders over $75 in the US, perfect for adding one of a kind gems to your fabric library. ROTARY CUTTERS FOREVER!! One thing you didn’t mention, rotary cutters make cutting international patterns that don’t have seam allowance SUPER EASY. I just pretend the outside nut is the blade and PRESTO seam allowance! Love love love your podcast.